In just a few months time the World Cup will kick off and the eyes of the world will be on South Africa. This is our chance to show the world just how our different cultures, languages and traditions unite us as one strong nation. What better way to do this than by singing our nation's national anthem with pride. We sing the anthem at special occasions like international sports events and presidential inaugurations. 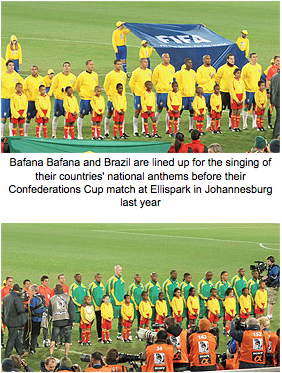 Now we are gearing up to sing it at the 2010 FIFA World Cup. The anthem has a long history behind it. Before South Africa's first democratic elections in 1994 the country had an official anthem with two versions, namely an Afrikaans version Die Stem and the English version The Call of South Africa. The unofficial anthem was Nkosi Sikele' iAfrika, which means "God bless Africa." This anthem was a symbol of independence and resistance to apartheid. It was sung by the people at anti-apartheid rallies and gatherings. When our country changed to democracy both anthems were joined. This symbolised the joining of all groups in the country. Today the national anthem is made up of the English, Afrikaans, Sesotho, isiXhosa and isiZulu languages. The anthem's different languages reflect our country's diverse cultures. It is a tune that brings each and every group in the country together. At the World Cup, all South Africans will stand tall and sing the anthem with pride in their hearts. So lets learn the anthem and show the rest of the world what it really means to be proudly South African! Nkosi Sikelel' iAfrika was composed in 1897 by Enoch Sontonga, a Methodist mission school teacher. The words of the first verse were written in isiXhosa as a hymn. Seven additional verses in isiXhosa were later added by the poet Samuel Mqhayi. 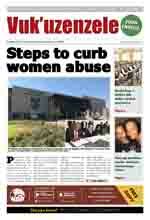 A Sesotho version was published by Moses Mphahlele in 1942.